We’ll be introduced to our first Caribbean service project among the cool, rain-forested peaks above the town of Utuado at Hacienda Verde, a private ecological preserve integrating conservation, education, and sustainable development. In this rich ecosystem, we’ll repair and maintain hiking trails and lend a needed hand on a variety of other projects. We’ll take time off to explore and hike the rainforest’s fern-covered trails to misty mountaintops and hidden waterfalls. 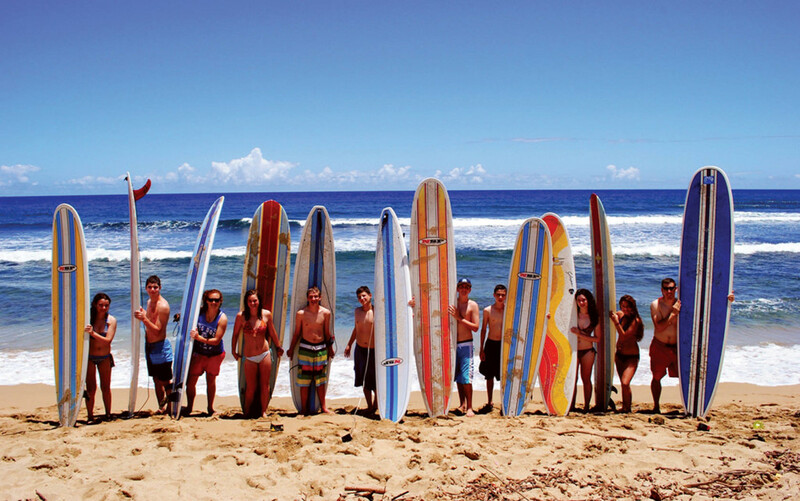 To cap off our experience on the mainland, we’ll spend a day learning the fundamentals of surfing at one of the sports most fabled beaches in Rincón. Our next stop will be Vieques Island, off of Puerto Rico’s east coast, where we’ll volunteer with a number of different local community organizations. Vieques was particularly hard hit by 2017’s Hurricane Maria, and we’ll work to help this beautiful island community both re-build from Maria and prepare for future storms. After a morning of snorkeling through aquamarine waters, we’ll round out our exciting stay on Vieques with a magical, nighttime kayak tour in one of the world’s most spectacular bio-luminescent bays. 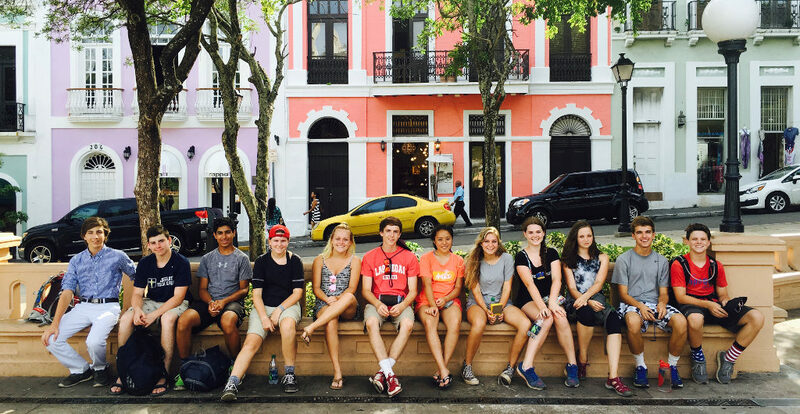 From Vieques Island, we’ll close out our amazing adventure with a day of exploration on the cobblestoned streets of Old San Juan. We’ll investigate the city’s rich history by visiting a 16th-century fort before enjoying a festive final dinner in the heart of the Old San Juan. How physically challenging is CS? Given a rating of Challenge Level 3 (out of a maximum of 10), we consider CS to be a beginner service trip that any moderately fit, motivated student can successfully complete. While CS is not extremely demanding physically, many of our projects involve physical labor such as trail maintenance, invasive plant removal, or tree planting. 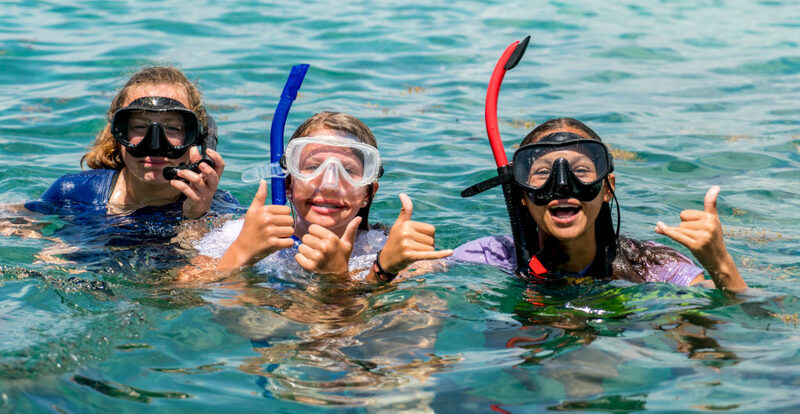 Afternoon activities may include moderate hikes, a surf lesson, or sea kayaking and snorkeling. Please note that all of Apogee’s Challenge Levels are not scientific and are subjectively calculated by the Apogee staff. How many hours of service will I earn on CS? When performing service, students will spend anywhere between 4-6 hours daily on projects. This amounts to a total of 20 to 30 hours over the course of the trip — students will receive a letter verifying the service at the summer’s end. No. Apogee’s leaders will be Spanish-speakers, and will be able to translate when necessary for the group. However, there are numerous opportunities to practice and learn with locals if your child is currently taking Spanish classes. Apogee tuition costs are meant to be all-inclusive and include all meal, accommodation, and activity fees. The most significant additional expenses on our Caribbean Service trip will include travel to and from San Juan, a sleeping bag, a day pack (most school backpacks will work fine), and hiking boots or shoes. What does a typical day on CS look like? 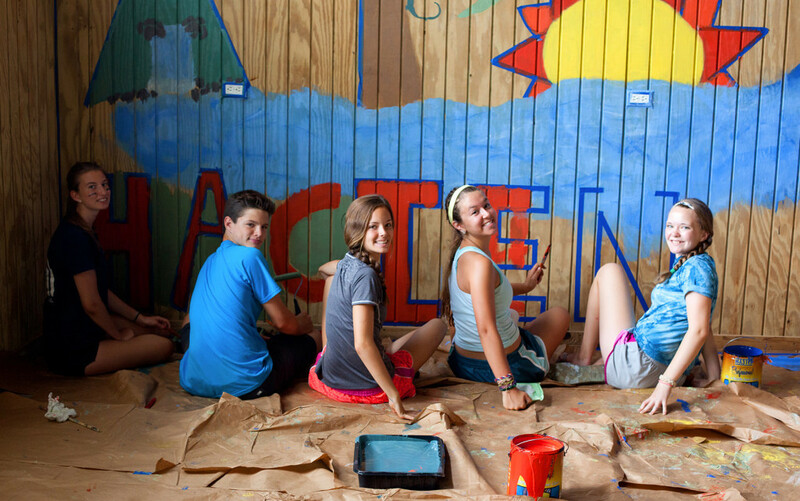 Every day in the Caribbean is different, as schedules are somewhat dependent on “Island Time.” Generally speaking, however, students should plan to be up early, ready to start the day with 4-5 hours of service. The afternoons will be spent hiking, taking in the Taíno culture, or exploring some of the most beautiful beaches the Caribbean has to offer. Our groups will be staying indoors every night – in rustic, camp-like settings and in more finished hostel-like settings; students will sleep in beds, using their sleeping bags or sleeping bag liners. There will be designated “boys” and “girls” rooms. There is no air conditioning in the first accommodation (nights get cool in the rain forest where the accommodation is located), but there is A/C in the second and third accommodations. Students can expect to have access to clean water and showers every night. Please note that Apogee staff members do not travel with students; our trip leaders will already be in Puerto Rico on arrival day and will stay in Puerto Rico after the trip ends. Apogee staff and trip leaders will have a detailed flight itinerary for each student who is flying to the trip start and will be at the airport to greet them on arrival. Once students are with their leaders, they will call home to let their parents know they have arrived and are with their group. Please see our blog post for specifics regarding students traveling as Unaccompanied Minors. Further, we encourage you to coordinate travel with other attendees; we’re happy to put you in touch with other enrolled families from your region. We will provide enrolled families with a Travel Information document covering details specific to traveling to and from Puerto Rico, including airport information and arrival and departure time windows. Please contact Apogee with any specific questions or concerns regarding drop-offs and/or pick-ups.